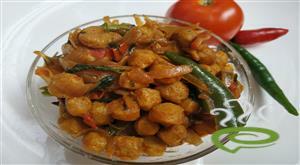 Kerala Style Mushroom Fry is a tasty vegetarian delicacy, very tempting and irresistible. The crispy, crunchy mushroom favorites are a perfect accompaniment with hot rice, rotis and chappathis. 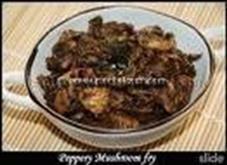 Kerala Style Mushroom Fry is unique and special with chopped mushrooms blended with spicy ingredients and fried till crisp. Mushrooms are nutritious rich in vital nutrients required for body. Kerala Style Mushroom Fry is one of the easiest dishes that can be prepared in a jiffy and best enjoyed. 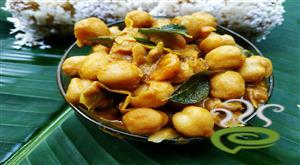 You can explore a well detailed Kerala Style Mushroom Fry here. 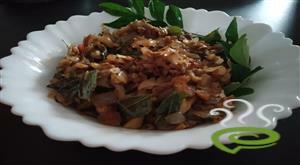 For preparing Kerala Style Mushroom Fry first chop mushrooms and onions into small pieces and put them in a pan. Add chilly powder, pepper powder, turmeric powder and salt into it. Add 1/4 glass of water and cook for 10 minutes. Heat oil in another pan. 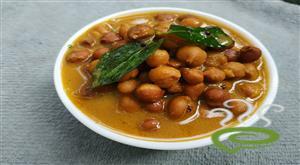 Add mustard seeds and when they splutter, add curry leaves and fry the cooked mushrooms for 15 minutes. 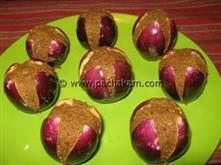 :- If you like the taste of garam masala, you can add a little into it. 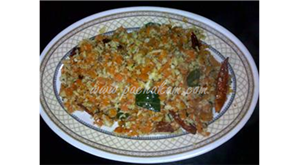 :- Serve Kerala Style Mushroom Fry hot with rice or chappathi. 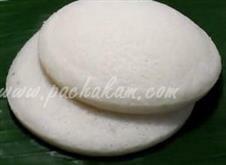 :- If you are using fresh mushrooms, there is no need to cook it. Instead, fry it with all other ingredients. Beena, please post your stew recipe!